Beat the clock, try to figure out a word from scrambled mess of letters. Is there a better alternative to Scrambled? Is Scrambled really the best app in Puzzle category? Will Scrambled work good on macOS 10.13.4? Scrambled ... Your time is running out. Now try to figure out a word from a scrambled mess of letters. 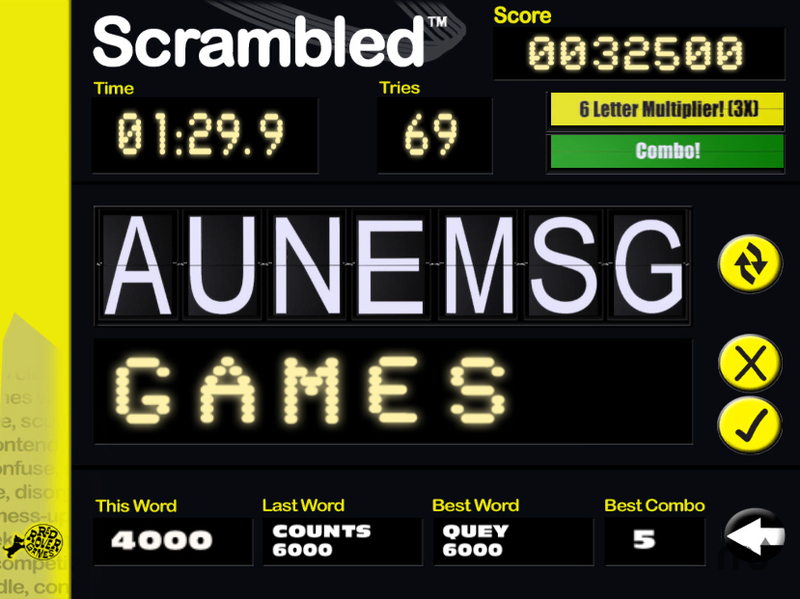 Meet "Scrambled," the game where you think fast and type faster. Make at least 3-letter words from the flipping letters. Make combos by finding words that or 4-letters or more. The bigger the combo the bigger the score. Test your wit and get the highest score -- just don't get scrambled! Scrambled needs a rating. Be the first to rate this app and get the discussion started!